SAN DIEGO — Ana Sical, 25, once thought she was destined for a full-time job at the Jack in the Box fast food restaurant where she worked for three years alongside her mom, dad, aunts and uncles. Instead, she graduated valedictorian from her high school and won a full scholarship to San Diego State University, earning a bachelor’s degree in construction engineering. 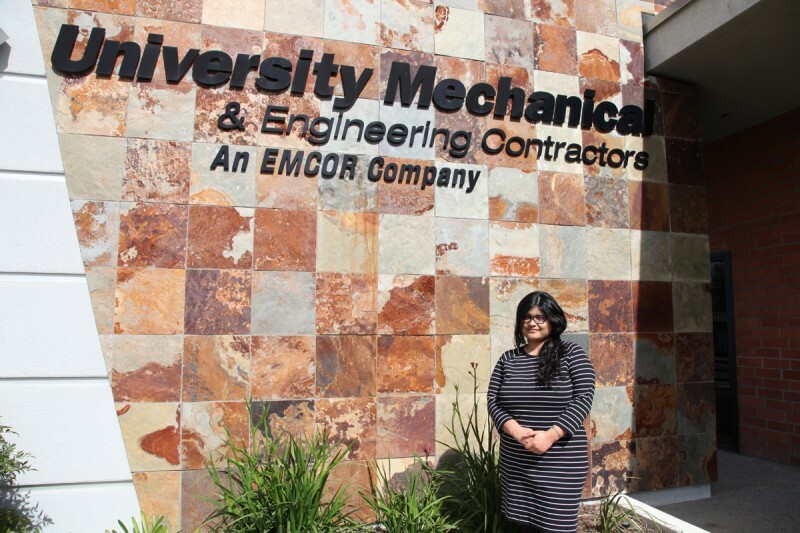 For the past two years, Sical has worked as a project engineer at University Mechanical in El Cajon, in southern California. She’s part of a team of engineers overseeing the construction of a new San Diego courthouse. It’s a good job that allowed Sical to assume permanent guardianship of her siblings, ages 16, 13, and 10, when her parents were unable to care for them. Sical says she owes her success to the training she received at Kearny High School in San Diego, from which she graduated in 2008. The school trains students in one of four career fields: engineering, business, science and technology, and digital media. Sical says her experience in the engineering program led her to consider career possibilities she didn’t even know existed. California is making a big investment in “linked learning” — career-centered programs like these. In response to the Common Core Standards’ call to make every student “college and career ready,” linked learning programs not only aim to prepare high school students for college, but also set them on a career path. In 2014, the state doled out $250 million in competitive grants to develop linked learning programs, and it will match that amount in 2015. Many schools and districts also receive hefty sums from the federal government. Los Angeles Unified alone received $7 million from the U.S. Department of Education and U.S. Department of Labor to expand career programs in healthcare, technology and business at three high schools. Hundreds of schools across the state are adding career programs in an attempt to get students into college or a job after graduation. So far, only 27 high schools — reaching about 14,000 students — have certified linked learning programs. That number is expected to grow to 19,000 by the end of the year. Curriculum at these certified schools includes rigorous academics (all students take college-prep courses) plus on-the-job training in a career field in one of the state’s 15 major industry sectors, such as business and finance, engineering, health sciences, manufacturing and entertainment. But, in a country committed to college preparation for all kids, no matter what their background, the idea of career training in high school raises eyebrows. Can linked learning really prepare students for both college and a career? Besides, he adds, there’s a knee-jerk reaction in this country against any curriculum with even a whiff of vocational education or tracking. “High school to Harvard is the upper-middle-class vision of an education, and the upper-middle class rules in America,” says Carnevale. 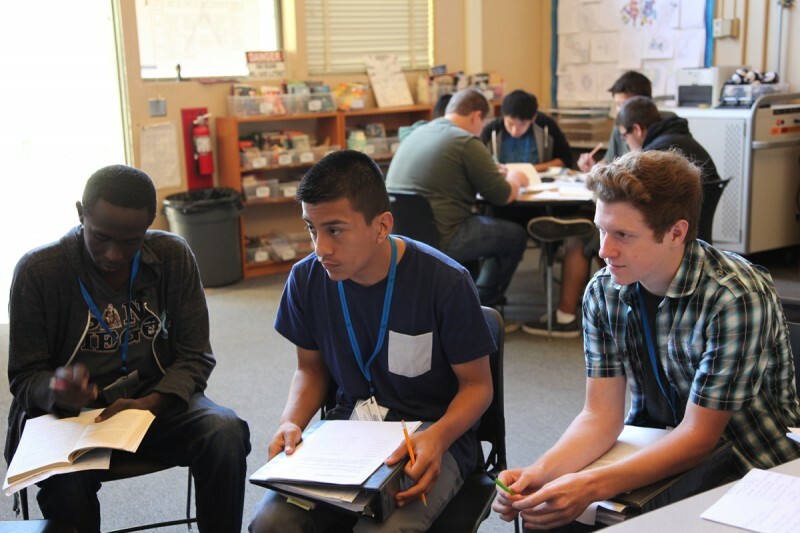 A December 2014 report on the state of linked learning initiatives in California indicates the program shows promise for traditionally underserved populations — African-American and Latino students, and students learning English. The report shows that students in linked learning programs do as well, if not better, on test scores and complete more credits than similarly-situated students in traditional high schools. On average, ninth-grade students enrolled in a linked learning career program earned 7.3 more credits than their peers; tenth-graders earned 6.9 more credits; and eleventh-graders earned 3.3 more. Underserved populations at Kearny High School are taking advantage of the career-focused program, particularly its engineering component: Kearny’s engineering students are 64 percent Latino, 12 percent Asian, 8.5 percent black and 8 percent white. About 80 percent receive free or reduced-price lunch. Sical had plenty of real-life practice in the role of engineer and designer at Kearny. This was the key, she says, to her transition from an apathetic student to an enthusiastic one. She said her turning point came when she shadowed a female project manager in charge of balancing schedules and budgets for a number of construction projects in the San Diego School District. It was the first time she had seen a woman working in engineering. Sical herself now holds a similar position. Much of Kearny’s curriculum is rooted in the real work of engineers. In one semester-long project Sical and nine other students planned a redesign of two blocks in downtown San Diego. She and her classmates scouted the area, which included a high-rise hotel, restaurants, and an underground parking garage. Each student was assigned a role, such as superintendent or foreman, and each oversaw a particular aspect of the redesign, such as water service, electric power, or telecommunications. The project was hypothetical, but the students carried it out as if it were real. Working engineers and professionals in telecommunications and other industries visited the school every week to advise students on the project. As for the downtown redesign, Sical and her teammates “demolished” the area and rebuilt it from scratch, making the buildings taller and adding a larger parking garage. “We were so young,” Sical says, shaking her head at her less-experienced self. This year, sophomores at Kearny are studying biomimicry, the science of borrowing ideas from the natural world to solve everyday problems. Energy-efficient buildings in Zimbabwe, for example, are modeled after termite mounds. A self-cleaning paint is modeled after the lotus leaf. Students apply techniques like these across a number of classes. They may identify an environmental problem in engineering class, come up with a solution for the problem in biology class, and research the topic further in language arts class. The year-end activity will be to tackle a college-level design challenge presented by the website biomimicry 3.8. Last year’s challenge was to develop a nature-inspired transportation concept. 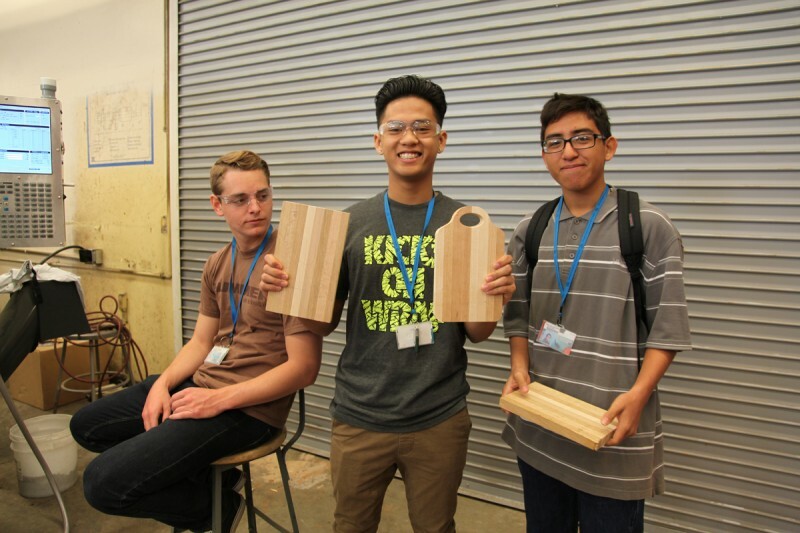 “You know students are really learning when they can take a concept from science class and apply it in a career class like engineering or architecture,” says Timothy Bingham, Kearny’s engineering and architecture instructor. Linked learning advocates think they’ve captured the best of the academic and career-training worlds. And, they say, the programs do it without trapping kids in careers before they’ve even had a chance to explore their options. Not all graduates of the program end up studying engineering. Sical’s brother, Woody Sical, a sophomore in the engineering program at Kearny, plans to go to art school. Some Kearny engineering graduates are pursuing degrees in psychology, education and culinary arts. Others have gone into construction, joined the military, or have become electricians. These schools graduate English learners at a rate nearly 75 percent higher than other schools. What are they doing right?